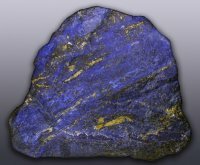 China Dialogue: For 6,500 years Afghanistan has been famous for the brilliant blue lapis lazuli, coveted by everybody from the Egyptian pharaohs to the common jewellers of today. These days mining of the precious stone is funding illegal armed groups and driving extremism and corruption in the northern province of Badakhshan, a two-year investigation by Global Witness, a London-based campaign group, has revealed. China – as the major end market for the stone – is in a strong position to help end that threat. Click here to read more (external link). « Should Achakzai’s Afghanistan outburst be allowed to go un-noticed?